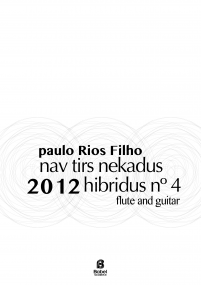 Brazilian composer born in the city of Salvador, Rios Filho has a Ph.D in Music Composition at Federal University of Bahia, under Dr. Paulo Costa Lima supervision. 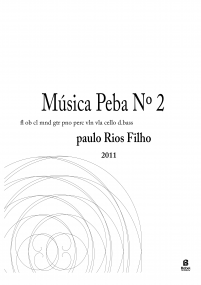 In 2007, his debut work O Contrariador was selected to integrate the program of the XVII Biannual of Brazlian Contemporary Music (Rio de Janeiro), and was first prize in two categories of the I Ernst Widmer Composition Competition. 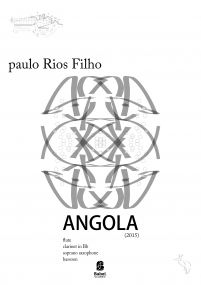 In 2008, he was given a scholarship to the 39º Winter Festival of Campos do Jordão (São Paulo) and Honorable Mention at the I Young Composers Competition City of Portimão (Portugal). 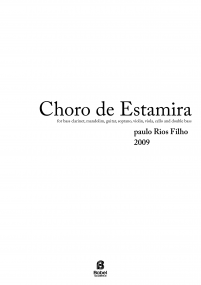 In 2009, his work Choro de Estamira was one of the selecteds on the Nieuw Ensemble/BAM Dialogue Brazilian Composers' Competition (Amsterdam); his orchestral piece Mau was first prize on the I Prof. Fernando Burgos Composition Competition (Salvador); and his chamber work O Engimático Gato de Rimas, was laureate in one of the four categories of the FUNARTE/XVIII Biannual Prize (Rio de Janeiro). 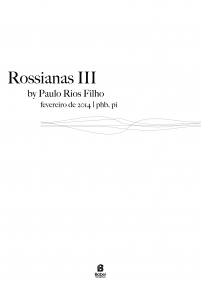 In 2014, he was one of the thirty Brazilian composers selected by vote to be commissioned a new work which was premiered in October of 2015 during the XXI Biannual of Brazilian Comtemporary Music (Rio de Janeiro). 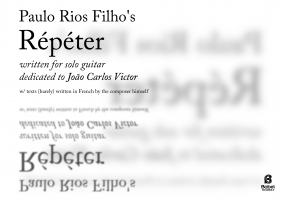 Also in 2015, his solo guitar piece Répéter was given Honorable Mention at the X Boston GuitarFest Composition Competition, amongst almost 200 submitted works by composers from more than 30 different countries. 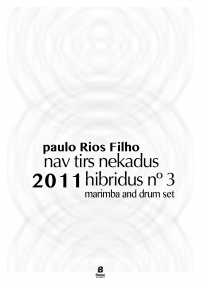 Rios Filho has been working and collaborating with important ensembles and musicians from his homeland and abroad, such as GNU, ABSTRAI, Camará Ensemble and Camerata Aberta (Brazil); ICE and Orpheu Ensemble (USA); Quinteto Avent-Gard (Portugal); Nieuw Ensemble (Netherlands); Ensemble Modern (Germany). 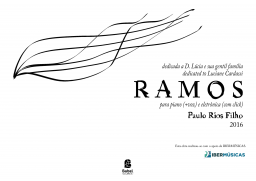 His works have been performed in most of the Brazilian provinces, besides Portugal, Venezuela, Argentina, Netherlands, USA, Germany, Norway, Russia, Spain and Switzerland. 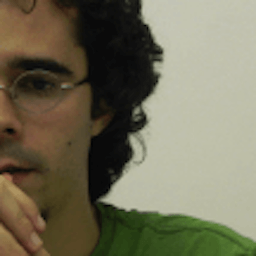 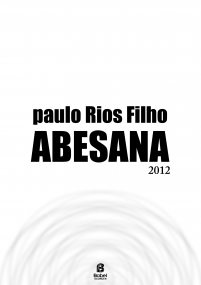 He is a founder member of OCA (group of composers from Bahia), Camará Ensemble and Delta Camerata Exploratória, and since 2013 he lives in Parnaíba (coast of the province of Piauí) and is professor at Federal University of Maranhão (Campus São Bernardo).